Progressive Democrat challenging conservative State Senator pitches street safety in fight against the man who killed speed cameras. New Yorkers were outraged when the State Senate failed to reauthorize the city’s school zone speed cameras. But are they mad enough to throw the bum out? That bum, of course, is Senator Simcha Felder, the Borough Park Democrat-in-name-only who caucuses with the Republicans to give the GOP control of the chamber and, by extension, make himself the most powerful man in Albany. As chairman of the Cities Committee, Felder declined to act on an Assembly bill that would have extended speed cameras and doubled their numbers. The bill has the support of a majority of Senators, but Felder opposed it, so it stalled in his committee. The Senate Majority Leader John Flanagan, did not discharge the bill and overrule Felder, fearing the loss of the DINO-saur’s support. Albany politics as usual — except for one thing: Felder is finally facing an election challenge after running unopposed in 2014 and 2016. In that most-recent race, he even ran on the Democratic and the Republican lines. More anger towards Felder could help Morris get some traction against the incumbent, whose conservative politics — Felder is opposed to abortion rights, for example, and has called for armed guards in schools — does play well in a district that President Trump won by eight points in 2016. But Felder’s stance against safety has been roundly attacked; it even forced the local police precinct to dispatch volunteers with flashlights to slow down speeders on Ocean Parkway. Felder, who actually supported higher speed limits even as cameras and speed caps have brought crashes down, would lose the election if more people knew about the issue, his opponent believes. “Many people know the speed cameras died, but they don’t know it was Felder,” Morris argued. But it’s not just the speed camera legislation that motivates Morris, who has worked with the Straphangers Campaign and the Department of City Planning and been an outside counsel for the MTA. He offers a full slate of street safety and transit initiatives that put Felder’s record to shame. But can Morris win? Like any other race, the answer will depend on who is listening. “These are the people who most need government services the most, but Felder empowers Republicans, who eliminate and trim social programs,” Morris said. On the fundraising front, Morris is trailing badly. He’s raised all of $41,717.54 — a good third of it from his wife and himself. But the vast majority of his donors are real people, giving $3 to $100 to support the insurgent. Meanwhile, Felder, who never had to raise money before, has suddenly gone dialing for dollars, raising $429,460 this year alone from a group of usual suspects that includes real estate firms and developers, auto dealers, law firms, his fellow politicians, retailers, health-care firms, police unions (including $3,000 from the anti-speed-camera Patrolmen’s Benevolent Association), and other people with business before the State Senate. If Felder gets 100% of the Orthodox vote, does any opponent even have a chance? The best thing would be to get a true Democratic majority in the Senate so Felder is made irrelevant. If Morris could get the non-Orthodox in the district to come to the polls in large numbers he could win. I’m sure he would also pull some of the Orthodox vote too. If you look at the 2016 Presidential election by precinct map, you see that this district went, heavily, heavily for Trump. That was largely because of very heavy Orthodox support for Trump. It’s hard for me to see how a Progressive, non-Orthodox Democrat is going to have any hope here. The 2016 presidential election is not the best comparison here. What’s most important is that Felder is an Orthodox incumbent, but Morris can absorb some of his votes. Key to Morris winning would be determined by his ability to bring out voters in the district who would otherwise not vote. Especially non-Orthodox voters. Yup, the 2016 presidential race was in irregularity. 79,887 active Democrats, 23,585 active Republicans. It basically depends on who the Rebbe told voters to vote for. If Morris can land ~5-6,000 voters he can win. Considering the progressive excitement taking place nationwide, the media attention towards it, and the desire to be anti-Trump/corporate (all of these amplified in NYC); I believe this race is much closer than it appears. Especially considering all the negative press regarding Felder. Yes. They make up a little more than 40% of the district, so Morris can win if he gets the support of all the rest. Trump won the district by 7 points (this article says 8). Special elections around the country have flipped stronger Trump districts, so it is possible. The dynamics of why people voted for Trump in the district are, of course, different than in most other parts of the country. Can you point to data on the 2016 Presidential race by NY State Senate district, because I couldn’t find any online? I’m certainly in favor of him winning. I hope he can do it. I’m just not hopeful with a district that was drawn in order to maximize the Orthodox vote. Maybe 2022 would be a better shot if we can get redistricting out of the hands of Senate Republicans. Collections agencies routinely harass, abuse and threaten people who have fallen onto hard times. Morris owns a collection agency. Therefore he is no progressive, rather than a hypocrite. The Long Island RR tracks carry freight which reduces trucks on our streets and lessen pollution; Morris wants to eliminate this. He is no environmentalist. If he is the best of the left in the Democratic Party, then this explains why Trump will be re-elected. Parking fees for our streets will be a regressive tax…if Morris doesn’t understand it works like this: The poor will pay but can’t afford it, while the rich own houses and have their own driveways. Another reason to vote against Morris. The trick, instead of hoping he will win, is to get out there and help him do it! Okay, Vlad, whatever you say. You’ve clearly got a personal ax to grind since you’ve been posting this stuff about collection agencies to every article about Blake Morris but I don’t see any solutions coming from you other than staying home and wishing that a perfect candidate were running instead of dealing with the realities of the options we have. Or, hmm, are you not actually a Democrat at all, or even a voter in District 17? I have been harassed by collection agencies for hospital bills which I rightfully had a right to dispute and during this process received threatening phone calls and letters from their attorneys during the time permitted to appeal. I asserted my right to fight unjustified billing practices and was successful. The last thing anyone needs to be pressured during the appeal process to pay immediately or your credit rating will be ruined. In the interest of “Progressiveness” from someone who refers to himself as a “Real Democrat”, it would be the proper thing for Morris to show openness regarding his collection agency and divulge all his clients, before the primary. If there are any conflicts, will Morris recluse himself? For example, does Morris represent hospitals, banks, credit card companies, student loan collections, car finance companies, mortgage firms, etc.? 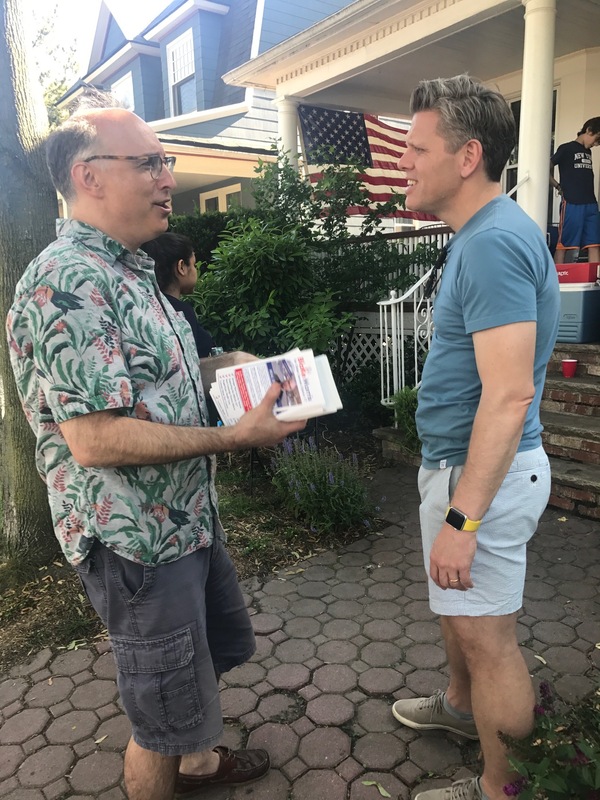 I happen to live in Ditmas Park and consider myself a Democrat of the mold of Truman/Humphrey/Mondale and don’t like the way my party is going when with so-called progressives like DeBlasio/Sanders/Nixon/Lander/ the pro-Palestinian and anti-Semitic Ocasio-Cortez. I include Morris with this group. For Morris, who most likely has his own garage/driveway to call for people to pay for permits to park on our streets is another way to sock it to apartment residents who don’t have the luxury of a private parking space and is another example of hypocritical progressiveness by forcing the working class to pay a form of a regressive tax/fee. Orthodox Jews = Falwell Christians = Jihadi Muslims. They all share a hyper-certain, repellent personality type for which the specific faith itself is irrelevant. What’s important is the exclusivity, self-justification, and aggressive evangelism of the doctrine. The allegiance the practitioner of the faith holds really only depends where and to whom she or he was born. How can we help? I’m not a registered Dem is there anything I can do? I see a number of Hasids on bikes in Borough Park, I wonder if we can convince them to vote Morris? How does this work, is it a primary? I’ve read the other guy has run as both a Democrat and Republican. Volunteer to canvass or make phone calls. Donate. And tell your friends! A Real Democratic protects the interest of the working person, not make his/her life more difficult. Morris falsely claims that he is a “progressive” and a “real democrat.” One who claims this, would not want to take away our free on the street parking spaces, especially since he – Morris – has his own driveway. Anyone who has driven in cities like Boston and Chicago knows first hand that it is impossible to find free street parking and are forced to pay to leave our cars in parking lots. Nor would he/she be working for corporate America, for example, Morris runs a legal collection agency which chases down those who have fallen on hard times and are behind on their loans, medical bills, student loans, car payments, etc. I too will like Morris to list all his corporate clients as this leaves him open to blatant conflict of interest, if he is ever elected. Other issues concern me is Morris support for the millionaire Cynthia Nixon, and Ocasio-Cortez, who supports Palestinian terrorism and while campaigning in Michigan last week for Muslims candidates, denounce both Israel and America. On the other hand, at least Felder protected the little guy in the street, stood up and stopped the nickel bag fee, which people like Morris and his fellow socialists supported. The truth about the speed cameras, which Morris and his crowd refuse to acknowledge is that the Republican Leader of the State Senate, not Felder, blocked the bill passed by the Assembly extending this program. Why? Because the Republicans wanted a more comprehensive bill, to make this program stronger, but the Democrats refused to compromise. Unfortunate L. Blake was in consumer collections … I like him a lot less now, especially given what Walt has been saying … any grains of truth in there? I think I’ll just stay home. It may be impossible to have a candidate who you like everything about, but this really makes me struggle to see who is the lesser evil … sometimes the greater evil is the better choice. I agree with you a lot Jay. I think you’re on to something, but Ike1 is also right when he talks about the elusive perfect candidate, though he doesn’t really convince me to support Morris. I also think collections is a racket. What a shame L. Blake is in such an unseemly line of work, it really takes him down in many notches of respectability. NYC should crackdown and prohibit all residents who register their cars in Pennsylvania, Maryland, etc. You see these cars everywhere, driven by residents. These people need to pay NYC taxes and have proper insurance in NYC if they want to park and drive here as residents. This practice needs to be discouraged, reduced, and prohibited. In the last general election, Simcha Felder was on the only person on the ballot and appeared on the Democratic, Republican, and Conservative Party lines simultaneously, something not practiced in any other state. It’s called fusion voting and it shouldn’t be legal. It dates back to the 19th century. There’s an article in the Village Voice about it. The Democratic primary is on Thurs., Sept. 13. It being on a Thursday, and being VERY wastefully scheduled separately from the federal primary, is EXTREMELY shady to me, and smells of Albany trying to confuse voters and depress turnout to keep sleazy incumbents around. Jay, I’m sorry that I implied you were a Russian bot or an outside actor. Your writing skills are far too good for that and I believe you’ve had some unfair experiences, but even if all of this is true, Morris is still a far better candidate than Felder, who is way too right-wing for blue Brooklyn, not to mention corrupt and unresponsive. I hope you’ll consider at least not voting for Felder, especially not in the Democratic primary. We deserve to have a choice in the general election rather than the incredibly shady, Tammany-Hall-ish multiple-party-line-hogging ridiculousness of Simcha Felder being on both the Dem and Republican (and Conservative Party) lines at the same time. That’s not done in any other state, and it’s wrong. foreign policy in mind; that has nothing to do with Albany. What are your thoughts on Felder blocking things up in the senate to let corrupt yeshivas rip people off and not meet basic educational requirements? 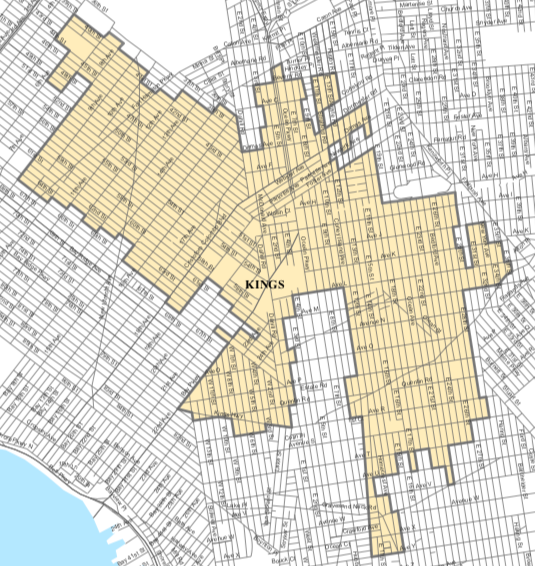 Doesn’t the Boro Park community deserve better? Do you agree with his call for armed guards in schools instead of common-sense gun laws? These are the kinds of issues at stake. I do vote with Israel in mind, even at the local levels. I do not want to see any anti-Israel politician elected and use any office as a stepping stone to Congress. Over 100 of my family were murdered during the Holocaust (yes, I have all their names) and if Israel existed, there would have been no Holocaust. This is why Democrats like the viciously pro-Palestinian Ocasio-Cortez will ultimately turn those pro-Israel towards the Republican party. However, Cuomo, who has nothing to do with foreign policy, has shown himself to be 100% behind Israel. Anyone who associates with the self-proclaimed “progressive” wing of the Democrat Party is getting into bed with those who hate Israel and hatred of Israel these days is just another form of anti-Semitism. People throughout the country are entitled to a choice but since 80% of all districts nationally are really one party districts, democracy does suffer. For example, the Democratic nominee is almost the winner in the general election in NYC. In the past, candidates have run and still run on multi-party lines and if people are unhappy about this, then let Albany change the law. When I attended Midwood HS, I remember that there was a “school cop”- the same one each day. After I graduated, the cop was replaced by security guards who only had a walk-talkie as his weapon. I see nothing wrong with a couple of policemen assigned to each public school as a deterrent. There are cops everywhere, why not in or around school grounds? When one steps into religious education, its an issue no one wants to go. Yeshivas obviously want to keep their students isolated from what they appear to be threats to their life style. On the other hand, Catholic schools are permitted to tread carefully on issues like evolution of man, gay and lesbian life styles, abortions, birth control, etc. A more important issue is why do Muslim schools, including their afternoon classes at Mosques, teach their students to hate America, destroy Israel and to look up to terrorists as role models? I still don’t feel that Morris is a better candidate. Morris runs a collection agency and anyone who has been subject to letters and phone calls from these agencies know they operate through intimidation. A week ago, I got a text message from my cell phone company claiming that they sent me several text messages (never happened) and that if I didn’t pay an outstanding charge of 25 cents for a text message sent overseas (which I never made and when requested, was not given the number of where this message was sent to nor the date it was allegedly made) that “if you do not pay your account balance immediately, we may send your account to a collection agency. This may have a negative impact on your credit report.” A phone call corrected this but one can see how a misunderstanding can lead to a collection agency messing up one’s credit rating. I am open to further discussion. The police should be allowed to pull over vehicles with out of state license plates and verify if they acre scamming insurance companies. If yes, either driver has his/her driver’s license seized or the car is tolled until NYS insurance and plates on on this car. The State Senate bill to expand New York City’s speed camera program did not pass in part because of opposition from Brooklyn rep Simcha Felder, according to a Senate source familiar with the negotiations. The streets around NYC schools would be safer this year if not for State Senate Republicans and Simcha Felder, who rejected legislation to double the number of school zones where Albany allows the city to place speed enforcement cameras. Which Matters More to Albany: Saving Lives or Collecting Campaign Cash From the PBA? The largest union representing uniformed NYPD cops is the lone source of organized opposition to the expansion of speed cameras in New York City, and has spent lavishly on campaign contributions to the players in Albany who control the fate of the speed cam bill. With just hours to go in the legislative session, Felder’s intransigence could shut down NYC’s speed camera program. If that happens, people will die.